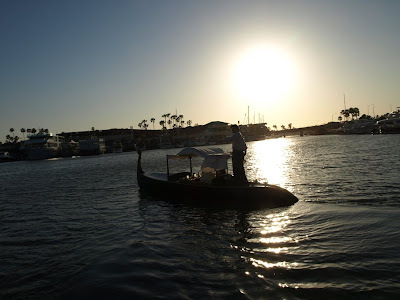 It was nice and windy this evening - the perfect conditions to challenge a gondolier, more than the usual calm waters and conversation. 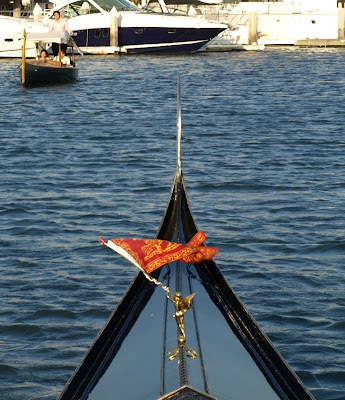 The flag of Venice flies proudly over the deck of the Phoenix, while gondolier Matt Schenk approaches on a canopied Curtis gondola. Matt - happy to be back in town and on a boat. 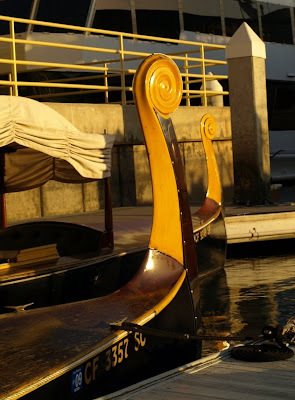 The prows of two Curtis gondolas glow in the warm light of sunset.